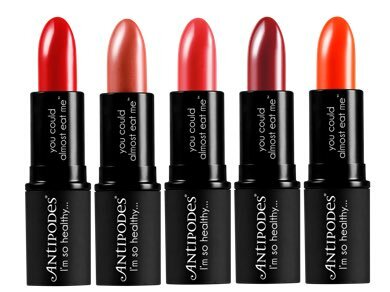 Antipodes is the creation of Elizabeth Barbalich, whose inspiration was to produce a premium scientifically validated organic beauty range which came from fully sustainable sources which can be used every day by all women. 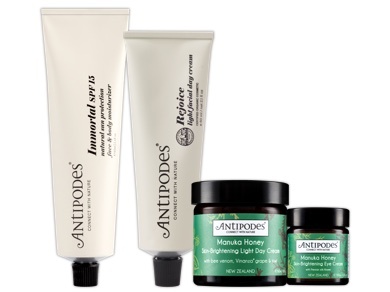 Antipodes products contain high quality botanical ingredients from sustainably cultivated plant extracts that have to be certified organic or genuinely natural. Using bioactive extracts from New Zealand's plant species and potent skin-enhancing ingredients from around the world, these are high performance products developed to enhance your skin’s natural health and beauty. 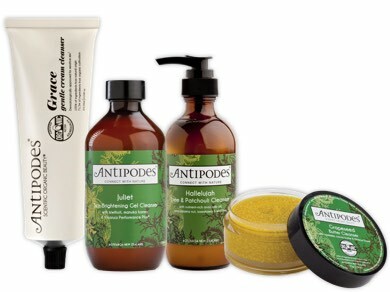 Many of the Antipodes products have received international awards for their performance. 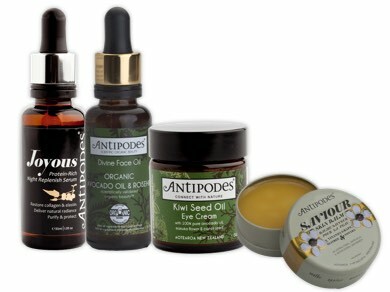 All Antipodes products have been approved by the UK Vegetarian Society and the packaging is fully recyclable. The range is free from: animal testing, genetically modified (GM) or genetically engineered (GE) ingredients, synthetic fillers or silicon derived ingredients, artificial colours or artificial fragrances, sodium lauryl sulphates, mineral oils, petrochemicals, animal ingredients (except honey and beeswax from living bees) and parabens.